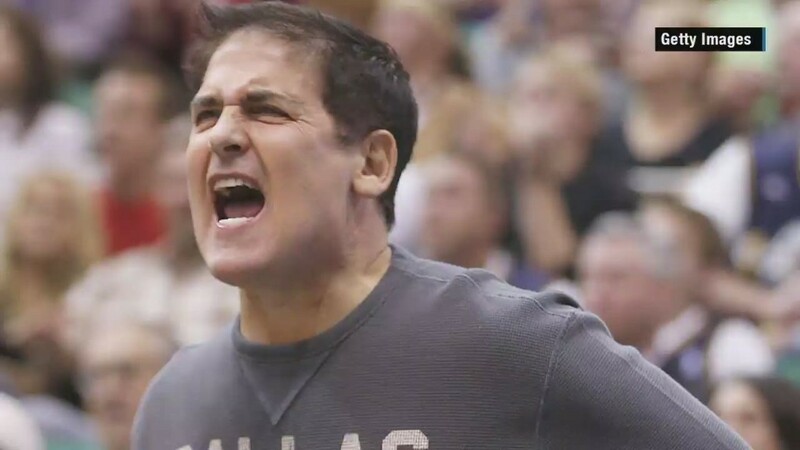 Here's Mark Cuban's secret weapon to beating Donald Trump in November: out Trump him. Cuban said he would advise Hillary Clinton to find a running mate who is "someone like me who would just throw bombs at Donald." What would these "bombs" sound like? Cuban's got plenty. "I would be like, 'Donald, I like you but you are an...airhead. You say nothing," Cuban said to lots of laughs on Thursday while speaking in front of hedge fund professionals at the SALT conference in Las Vegas. "Donald, you're rich right?" Cuban said to an imaginary Trump on stage. "Then why don't you build a wall. You're a patriot, right?" Cuban, who called Trump a "friend" that he has a "love-hate relationship" with, also compared Trump's candidacy to a season of Seinfeld. "It's the campaign about nothing," he said. Just like how Seinfeld had the "puffy shirt" episode and the "Elaine dance" episode, Cuban said it's the same way with Trump. "The immigration episode, the wall episode, the jobs episode," he said. "The best way to describe Donald right now -- and again, I like the guy -- is he's like the guy who will walk into the bar and say anything" to go home with someone, said Cuban, who is the owner of the NBA's Dallas Mavericks. Asked if he was available as a running mate this fall, Cuban said: "If I get to throw bombs like this, then yes." Interestingly, Cuban was being interviewed at SALT by Anthony Scaramucci, a hedge-fund executive who recently joined Trump's national finance committee. Scaramucci, the founding and co-managing partner of SkyBridge Capital -- the hedge fund that hosts SALT -- previously supported former GOP presidential candidates Jeb Bush and Scott Walker. Related: How can Trump 'print the money'? Still, Cuban credited Trump with inspiring voters who have lost faith in the system. "He's tapped into the fact that people just don't trust government anymore. Government is a mess," said Cuban, who added he's not "blaming Obama." Fracking contributing to man-made earthquakes: "There should be a three-earthquake rule and you're out...But the other trade-off is jobs." His hit ABC show Shark Tank: "It's killing it, much better than The Apprentice." Uber: "The days of hyper growth for Uber are gone." His tense relationship with the SEC, which he called: "My best friends at the SEC who I just love dearly." Why he purchased an NBA franchise: "Because I could."